See a complete, larger copy of this Willys-Overland drawing for "CJ-3B Civilian Jeep, Part Number 684661" including side, top and rear views (2100x1600 pixels, 130K GIF). Interestingly, the part number that appears on this drawing of the CJ-3B's dimensions, is very close to the numbers for some of the parts for the passenger heater. Thanks to Jim Allen for locating this long-lost drawing. Front / Rear Overhang: 20.59 in. / 22.31 in. 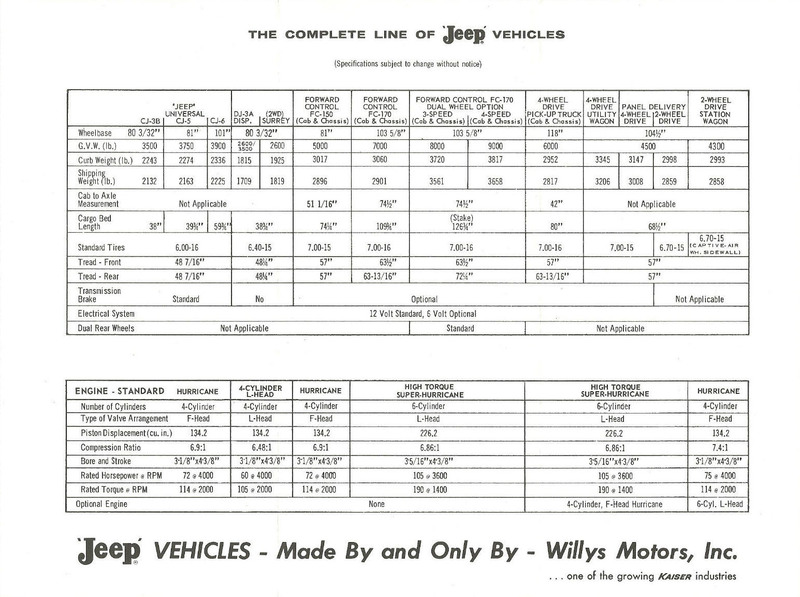 Willys Motors Form No. 600-15, dated 1960, included side and rear-view dimensional drawings on one side, with basic dimensions, weights and standard engine information on the reverse side. Click either drawings or specifications below to see a larger copy (300K JPEG). 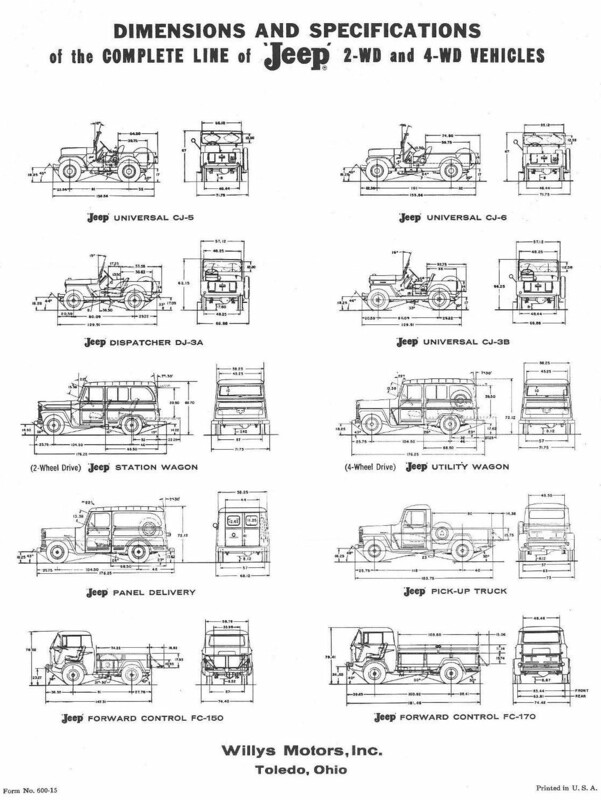 See some Mahindra CJ-3B Drawings. There are 1958 drawings and dimensions in an Australian Army test report. See also drawings and dimensions of the CJ3B-J3 (160K JPEG) from a Mitsubishi brochure, and a cutaway drawing of the CJ3B-J4 in J4 Magazine. Some Willys-Overland Parts Boxes had CJ-3B drawings.